July 14, 2014 - "New Product Release"
Coxreels introduces the all new idler sprockets for the 1600 Series motorized hose reels. This new add-on benefits the user in reducing the rewind speed, increasing motor torque and fitting an optional 3-way brake. These high quality, all steel, idler sprockets are chain sprocket assemblies with a corrosion protective coating that change the drive ratio of the motor-to-drum drive system. They are available in three ratios 1:2, 1:3, and 1:4 and available with or without an optional extended shaft allowing for the use of 3-way brakes or electromagnetic brakes. Coxreels idler sprockets are mounted on a zinc plated steel axle and rotate on two self-lubricated bronze bearings. This add-on is generally used on electric motor drive systems but Coxreels’ idler sprocket is also available for hydraulic and 4-Vane air motors with a 1:2 ratio idler sprocket. 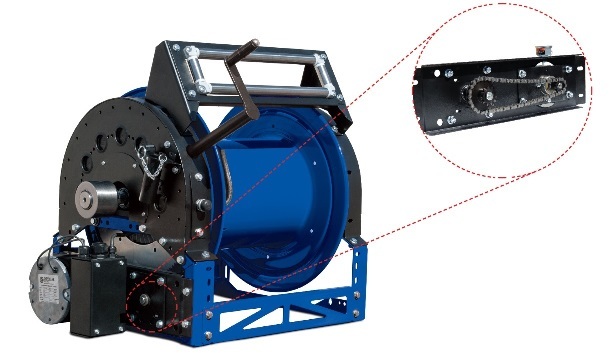 The idler sprocket is a great addition to the features found on the 1600 Series for professionals who require tailoring and building a reel solution that will suit the most demanding needs. 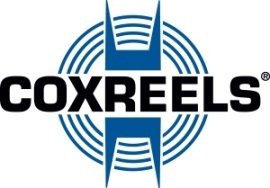 Coxreels has remained steadfast and focused on manufacturing high quality industrial grade hose, cord, and cable reels with industry innovation since 1923. Offering a full product line serving the industry in every channel and application, Coxreels takes great pride in designing, building and supporting all of their products here in the U.S.A.
For futher information on the Coxreels product line, contact Customer Service at (800) 269-7335 or visit www.coxreels.com.